Encouraging quotes for moms are my new thing! You know “those” days. The ones that you had grand plans that all fell flat on their face. How about the ones that you feel like everything you do goes wrong.. And let’s not forget the ones that you just simply feel like a bad mom for whatever reason. My most recent is when my son pulled the Christmas tree over onto himself. Not exactly a mom win. Sadly, these type of days happen quite often to me. I have found that it’s very important to equip myself with encouragement and truth. That way I can usually navigate my way back to a positive, uplifting place. 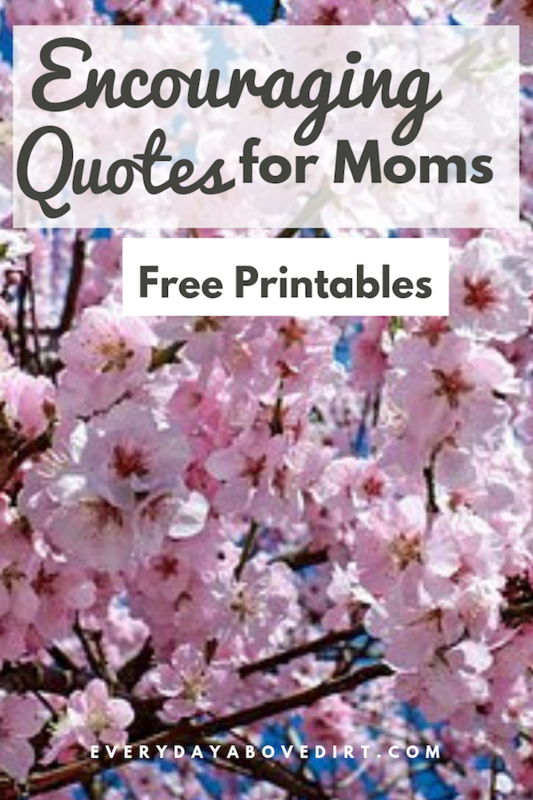 I’m going to walk you through how these encouraging quotes for moms helped me. Hopefully making you feel encouraged and not so alone today. If this helps you in any way please pass it along to another mom. Let’s make encouraging moms the norm instead of guilting or judging each other. p.s. There is a free printable version of these quotes at the end of the post. You can place them around your home or just have them handy for your encouragement needs. This is absolutely my most favorite encouragement! There are so many times since becoming a mom that I have felt like whatever moment I was in was going to last forever and the truth is that it won’t. I especially felt like this when Foster was just a newborn and I had no idea what I was doing. I especially, especially felt like this when I was getting no sleep. 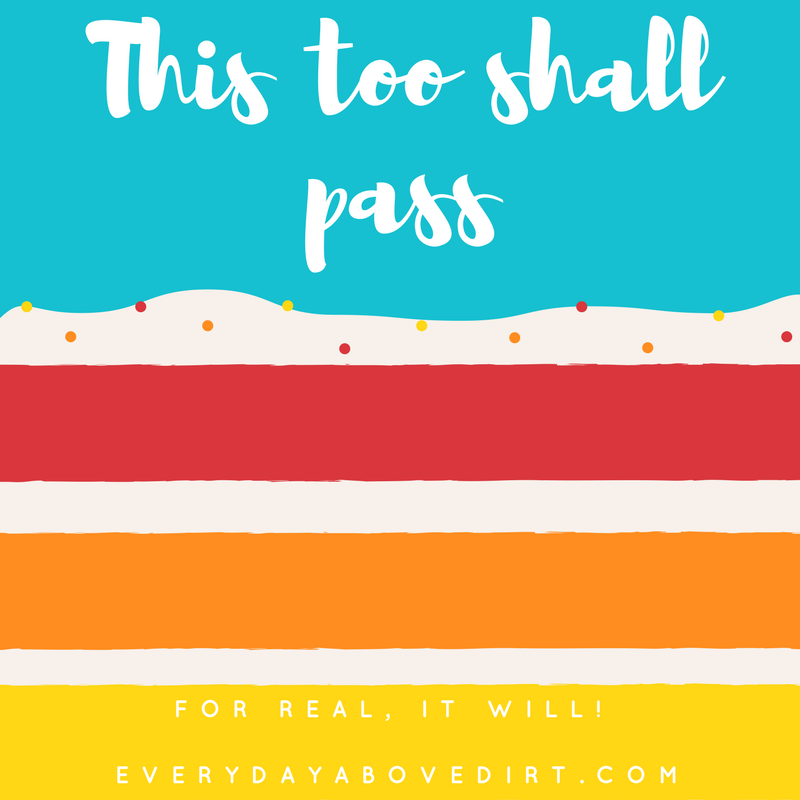 I’m a girl who needs her sleep, so during this time I clinged to these words…This too shall pass! Interpreted as I will sleep again and guess what I did. Here is how we finally got our baby to sleep through the night! 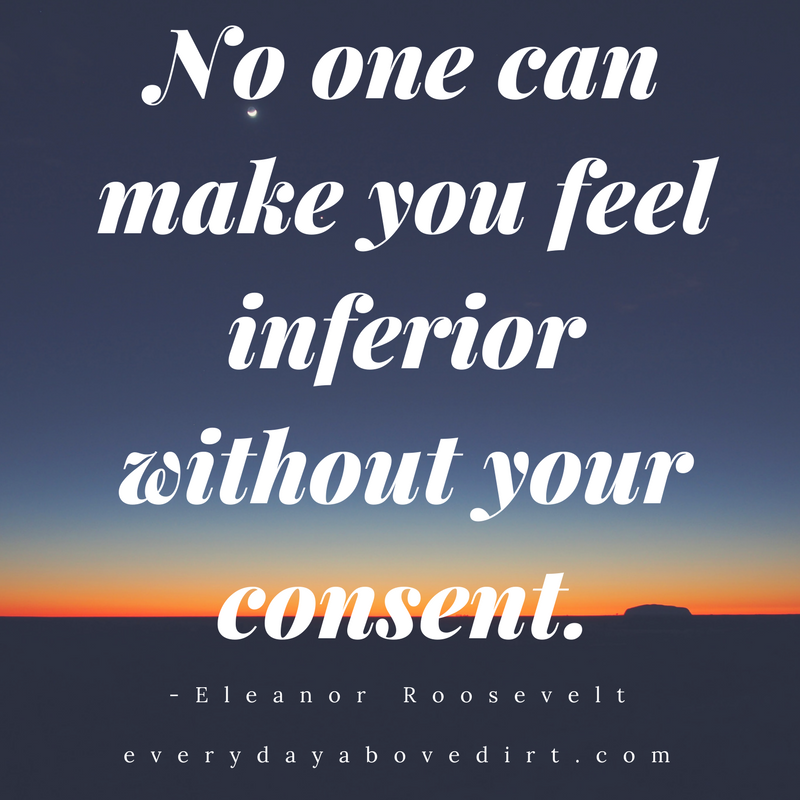 As a new mom and heck a woman it’s so easy to be intimidated by others. This verse especially helped me in my early nursing days. On one occasion I mustered up enough courage to breastfeed in public. That is if you consider a bath room stahl public, but nonetheless it was a brave moment for me. While I was sitting on the toilet nursing my newborn a scornful voice seeped through my stahl door. In a disgusted tone a lady said, “are you breastfeeding in there.” I answered yes and she went on to berate me and tell me how selfish I was to occupy a stahl for breastfeeding. I just sat there feeling totally inferior and intimidated and I did it. I gave her the power. But in reality NO ONE can intimidate you unless you let them. I often wish that would happen again because I’m pretty sure I would handle that situation with a little more gusto these days. Yes, yes, yes!!! There were/are days that I feel like I am not a good mom (and I so badly want to be). But, then I have to remind myself of the truth. God chose me to be Foster’s mom, so that means that there is NOBODY else on earth that could do a better job. Even the funniest, prettiest, smartest woman in the world because God didn’t choose her for my child. He chose me and He chose you for your sweet boy or girl! You are no accident, it is not an accident that you are the mother to your child. You are here to be amazing in your own unique way. This is another verse that I guard myself with when the lies come pouring in. 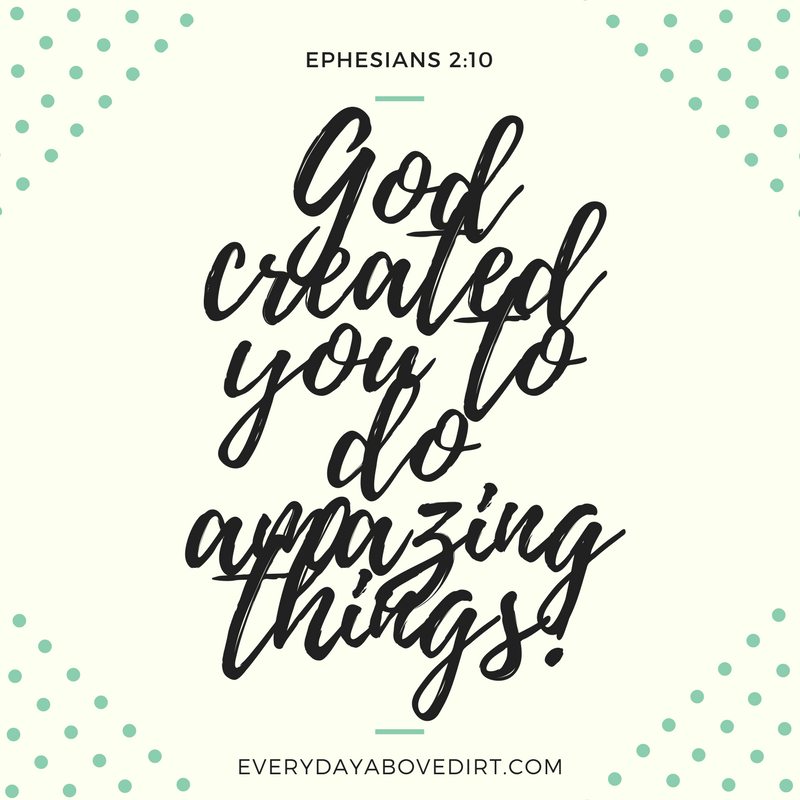 I am special and God made me to do amazing things! And guess what lady, He did the same for you. 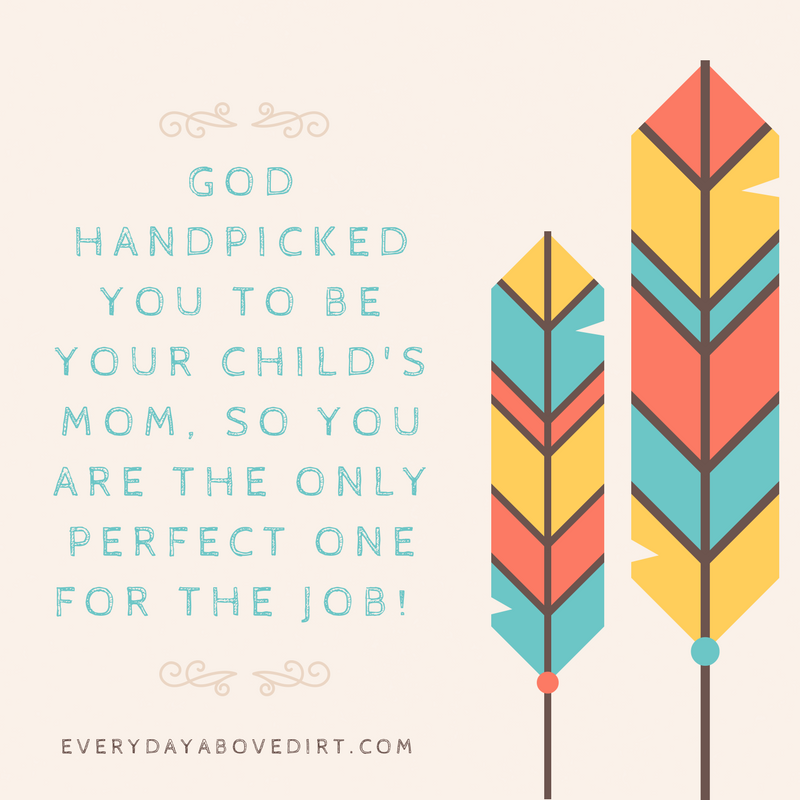 You and I have a unique fingerprint, a unique voice and personality that no one else has and that is exactly what the world and your child needs…YOU! This has served as a great reminder for me since becoming a mom because I legit feel like I have found the 10,000 ways that won’t work. This especially applies to my baby food making attempts. It’s crazy how something as innocent sounding as this can get in your head and make you feel like a failure when it doesn’t work out as planned. You can read more about it here. The summarized version is that I end up ruining my months supply of homemade baby food with one mistake and I felt like I failed in my attempt to provide for my son. 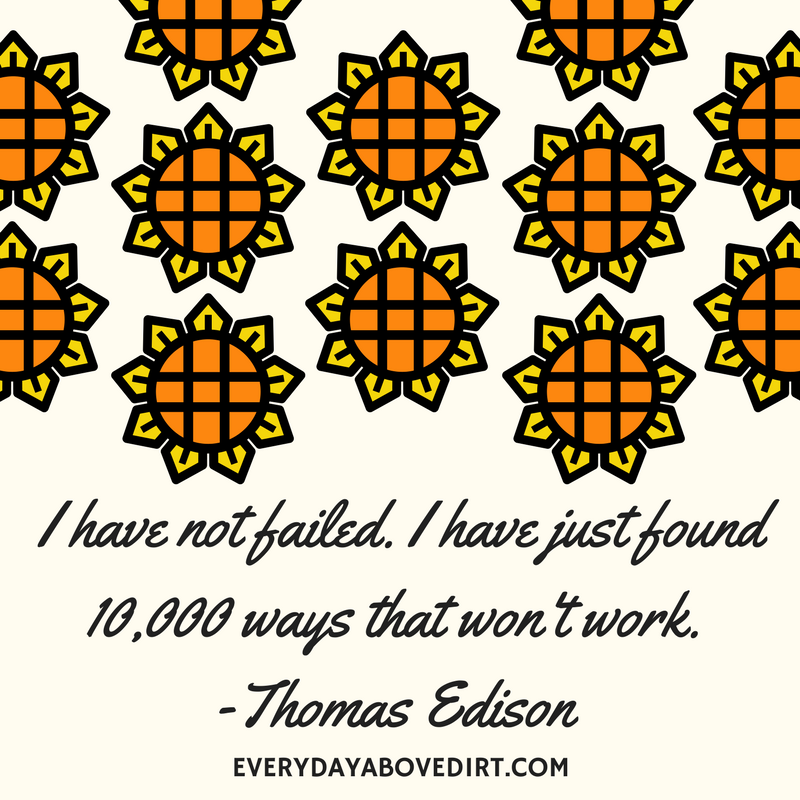 This quote reminds me that I’m not failing, I’m just finding ways that won’t work. So, I just need to dust myself and move on. After all, nothing great can come out of harping on mistakes. The way you talk to yourself, what you put into your mind has an enormous impact on your day and your well being. That’s why encouragement is such a big deal to me. I hope there have been words that resonated with you and that you feel encouraged! If you’re like me and you need more encouragement and affirmation check out 31 Days of Printable Affirmations. It’s amazing what putting positive thoughts in your mind can do for your attitude and well being. 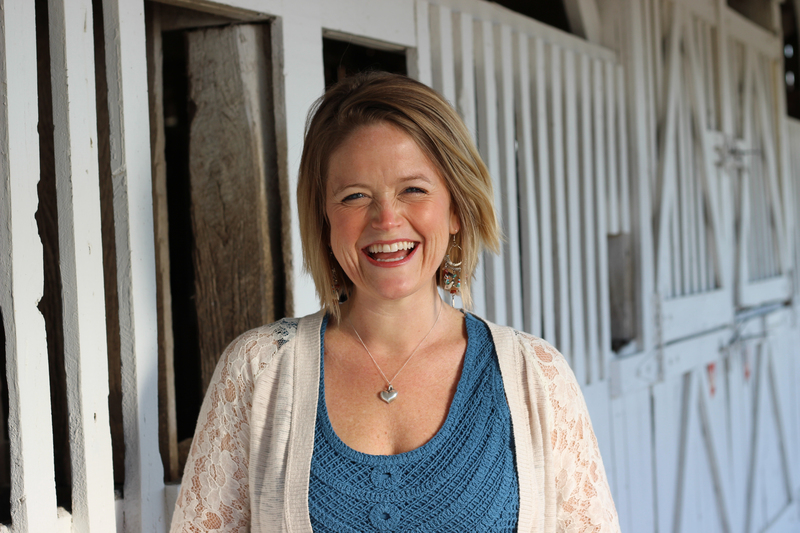 As a mom, you are often plagued with guilt, fear, and anxiety over how well you are doing. You constantly think about your performance and wonder… am I screwing up my kids or am I doing a good job? This set of printable positive affirmations for moms will allow you to see your TRUE self — a mom who is doing an amazing job. Here is a video of what you can expect from the printable. If you’re interested in Printable Affirmations you can click here for even more information. Above all. I want all moms to know that you are not alone, you are doing a great job and your kids think the world of you! I really like these, especially the last one! It really helps on those kinds of days. oh yeah, that’s a great one too!! How did you know I needed these today? Beautiful. And thanks for sharing! oh good! thank you and I hope your day gets better!! When I am feeling down I do end up reading quotes. I also listen to music it just helps lift your spirits. oh yeah!! Music is great too for sure! What?! I am so honored Katie! Thank you so very much for thinking of me!! And I’m so glad these quotes helped you. I need to refer to them very often! !